The SGSW-24240R is a Layer 2 Managed stackable Gigabit Switch with 24 100/1000 dual-speed SFP slots, 8 shared Gigabit TP ports, and 2 dedicated High-speed HDMI-like interfaces to enable stacking a series of switches. Our Layer 2 Managed Core Fiber Switch provides SFP slots with multiple ports in a 1U high case. Each of the SFP slot support Dual-Speed, 1000Base-SX / LX or 100Base-FX. Network administrators can choose SFP transceivers according to the desired transmission distance and speed. The SGSW-24240R is ideal for ISPs, campuses and enterprises seeking to improve their backbone and workgroup network applications. The SGSW-24240R series supports both IPv4 and IPv6 protocols. Backwards compatible with IPv4, the SGSW-24240R will ensure networks are prepared for IPv6, the Internet Protocol (IP) address that will eventually replace IPv4. 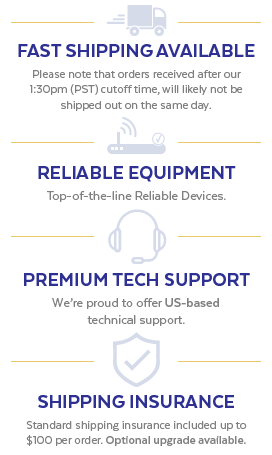 The SGSW-24240R makes it easy for ISPs seeking to upgrade their FTTx edge services and SMBs seeking to upgrade their networks. The SGSW-24240R Layer 2 Managed Stackable Gigabit Switch offers 24 100/1000 dual-speed SFP slots, 8 shared Gigabit TP ports, and 2 dedicated High-Speed HDMI-like interfaces to allow for stackable management. Up to 16 units, or 384 fiber-optical ports, can be stacked together as a group. 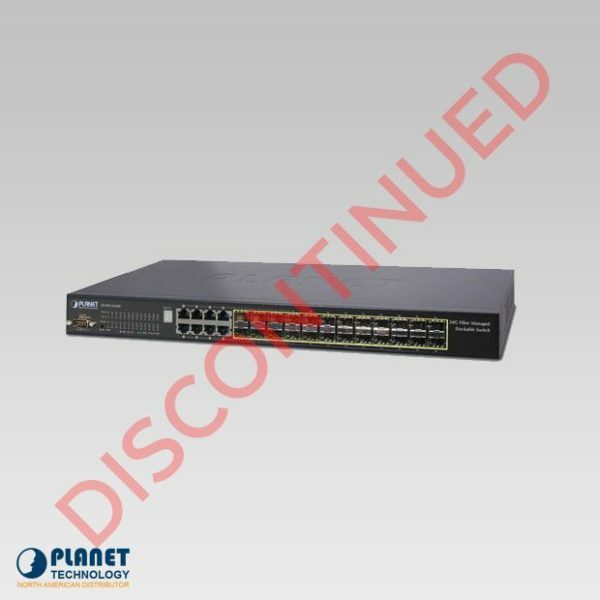 Its 2 built-in stacking ports provide 5Gbps bandwidth and up to 20Gbps Bi-directional speed. With 68Gbps switching fabric per unit, the unit can handle large amounts of data in a secure topology linking to a backbone or high capacity network server. With a single IP address, network administrators can manage the stack of units as one group. With its high bandwidth tunnel and stacking technology, the SGSW-24240 series gives enterprises, service providers and Telecoms flexible control over port density, uplinks and switch stack performance. 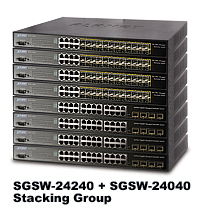 In addition, the SGSW-24240 offers stack redundancy to preserve data integrity even if a switch in the stack fails. These units are hot-swappable and greatly simplify the task of upgrading a LAN. The SGSW-24240 features advanced switch management functions such as dynamic Port link aggregation, Q-in-Q VLAN, private VLAN, Multiple Spanning Tree protocols (MSTP), Layer 2 to Layer 4 QoS, bandwidth control and IGMP Snooping. The SGSW-24240r provides 802.1Q Tagged VLAN, and allows up to a maximum of 255 VLAN groups. The SGSW-24240R allows for the combining of multiple ports to create a high-speed trunk. The SGSW-24040R Managed Ethernet Switch offers simple management via console, WEB and SNMP management interfaces. 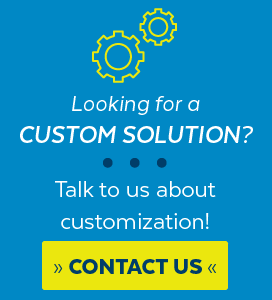 The unit supports a Web-Based management interface and a Simple Network Management Protocol (SNMP) that can be managed via any standard-based management software. For text-based management, the SGSW-24040 series can be accessed via Telnet and the console port. In addition, the SGSW-24040 series offers secure remote management by supporting SSH, SSL and SNMPv3 connection which encrypt the packet content at each session.